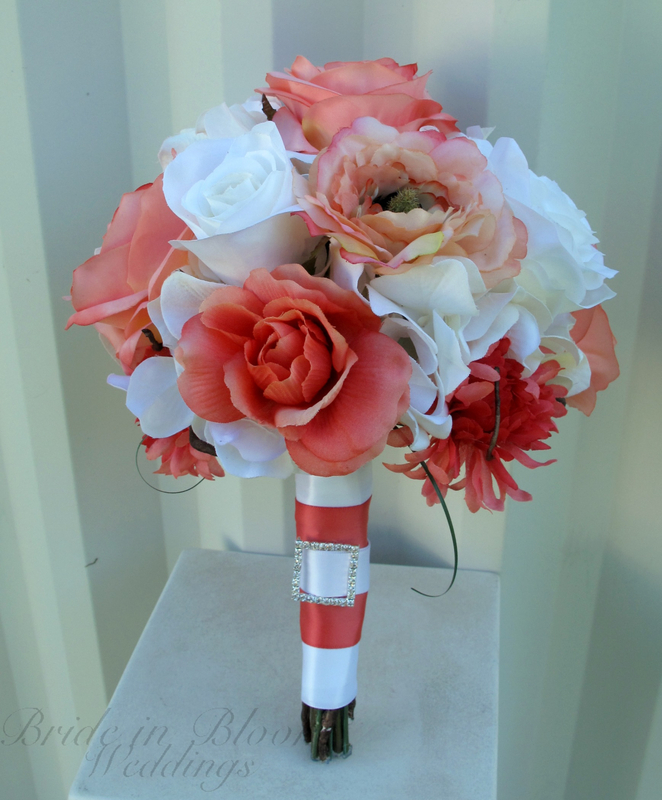 The wedding bouquet of class & elegance. 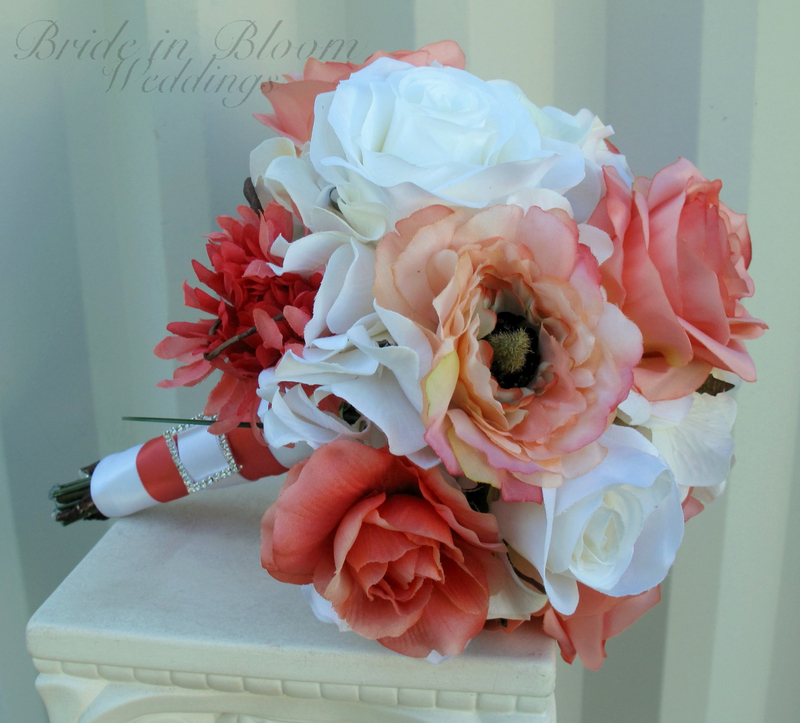 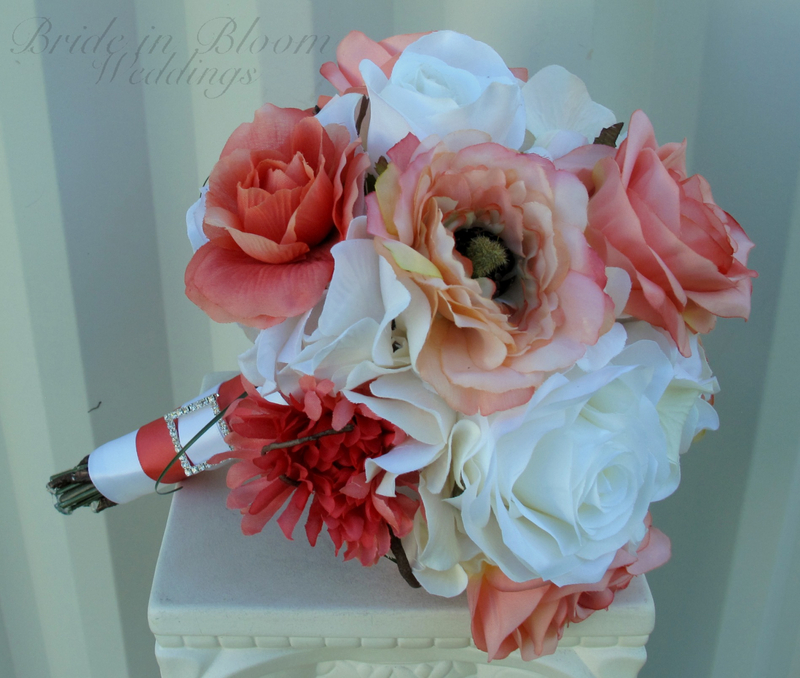 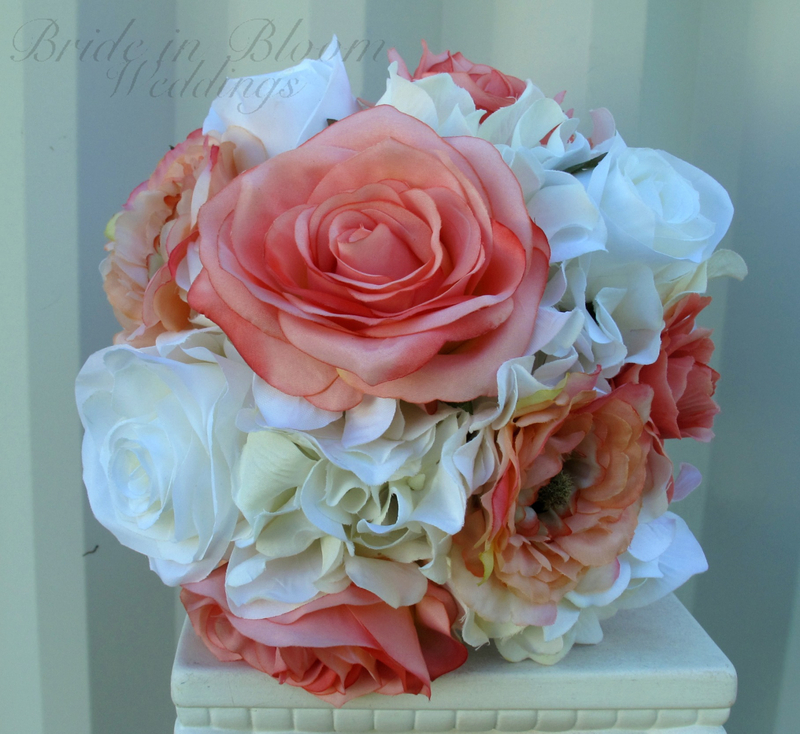 Your bouquet is designed with pretty silk coral & white roses, ranunculus, cosmos, white hydrangea, framed with curly willow loops. 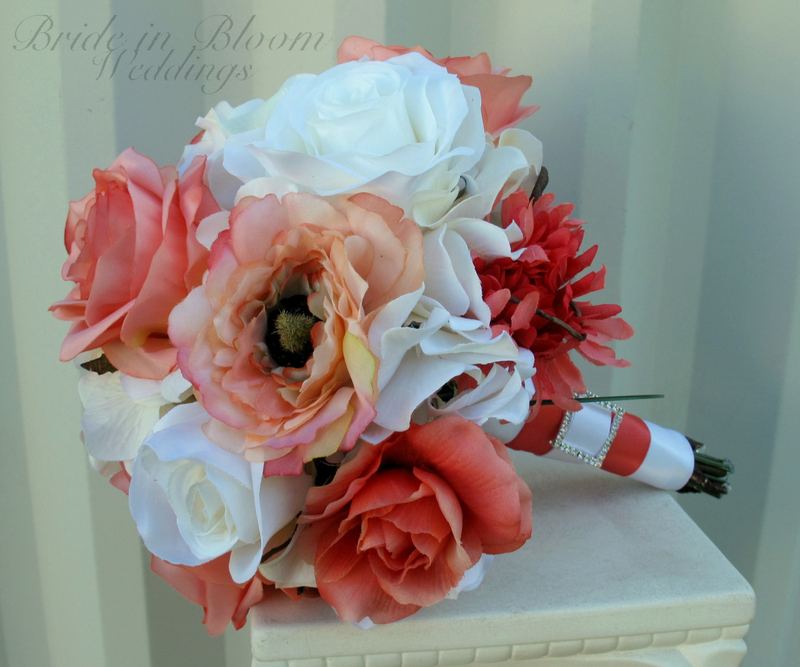 Handle treatment is wrapped with white satin ribbon, coral sash, completed with a sparkling rhinestone buckle.